We stock a large variety of CE labels and nameplates, to be used on equipment that is manufactured, imported and distributed in the European Economic Area. 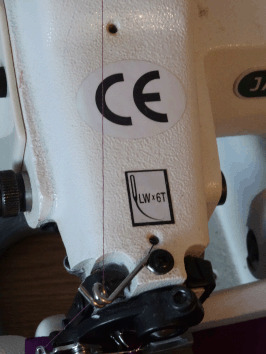 CE labels are used to provide evidence of a product's compliance with health, safety and environmental standards, according to legislation set out by the EU. Our CE labels are manufactured on self-adhesive vinyl with a clear laminated surface, while our CE nameplates are made from aluminium and are available with drill holes or an adhesive back for easy application. Both our CE labels and CE nameplates are rub test compliant and waterproof, as well as being scratch and chemical resistant. CE, WEEE and RoHS symbol labels. WEEE, CE and RoHS symbol labels. CE and WEEE symbol labels. CE symbol write and seal labels. EAC001 Eurasian conformity mark labels. EAC011 Eurasian conformity mark labels. We stock an extensive range of CE labels and nameplates here at Label Source, with the option to custom print labels to meet your specific requirements. If you cannot find the CE label or nameplate you are looking for, please contact us via email at info@labelsource.co.uk, or by telephone 0800 3761693 (UK) or 044 2920 865212 (international).